Awnings - Bristol Aluminum Window & Siding Company, Inc.
Bristol Aluminum Window & Siding Company, Inc.
We'll Meet or Beat Any Competitor's Price! In the summertime, you may notice that the warmest spot in your home is directly in front of the window on a sunny day. That warm sunshine may be nice, but it can really cause a considerable rise in air conditioning costs. With Bristol Aluminum Window & Siding Company’s window awnings and patio awnings, you never have to compromise between sunshine and cooling costs. And since Bristol Aluminum is the area’s #1 trusted SunSetter Awnings Authorized Dealer & Installer, you can always depend on an excellent experience, every time! A window awning by Bristol Aluminum Window & Siding is the perfect way to enjoy the beauty of a sunny day without paying the price of excessive cooling. Simply select your fabric color and style preference, and let our team get to work on installing a window awning system that matches your home’s look and feel. 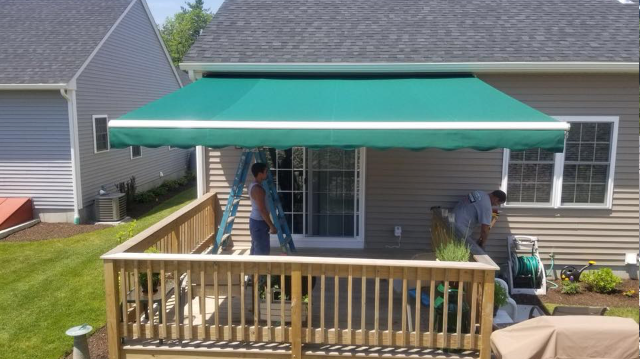 With styles as versatile as the goals of our many clients, a window awning installed by our team is sure to carry the dual benefit of both style and comfort. With Bristol Aluminum Window & Siding Company’s patio awning installation services, our clients can enjoy beautiful summer weather without the threat of harsh sun exposure. 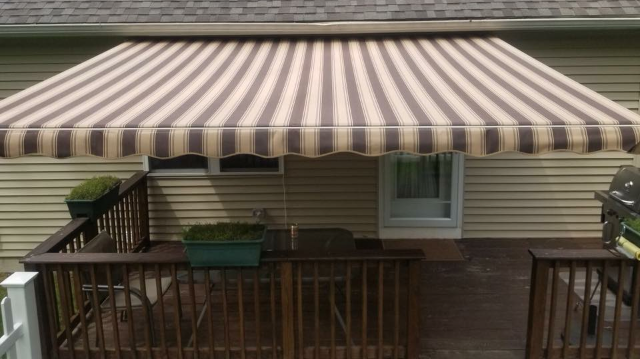 Our patio awnings are crafted using the color and fabric styles that you select, and customized to your home’s specifications for an attractive addition to your patio. 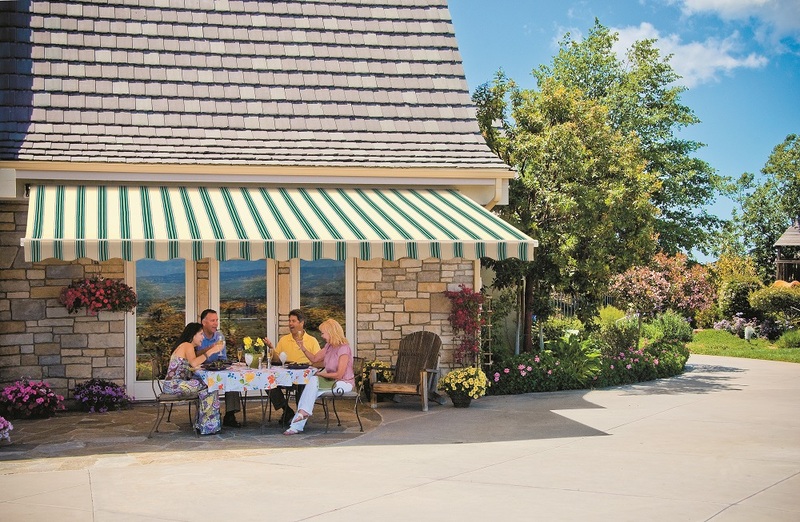 You can also choose between a motorized and a manual patio awning. Both are easy to retract so you can experience partial shade or full sunshine with either design. 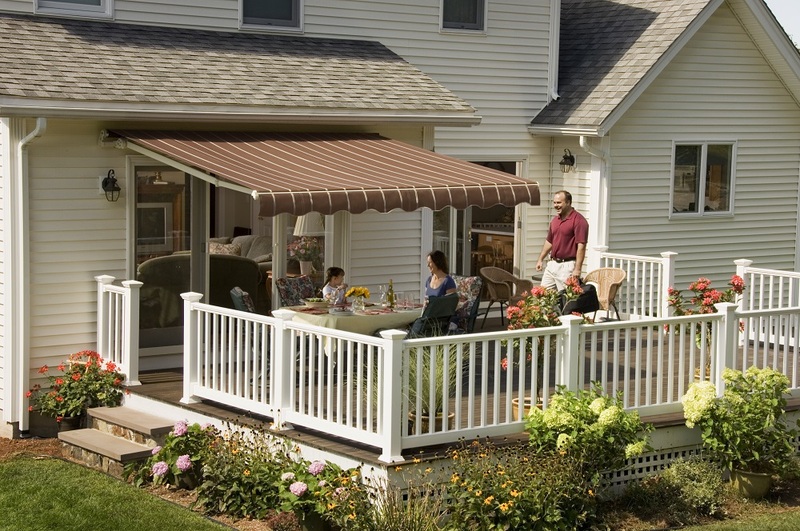 Bristol Aluminum Window & Siding also carries Sun-setter Patio Awnings, the #1 selling awnings in America. They come in a variety of sizes, ensuring the perfect coverage for any space, any size. 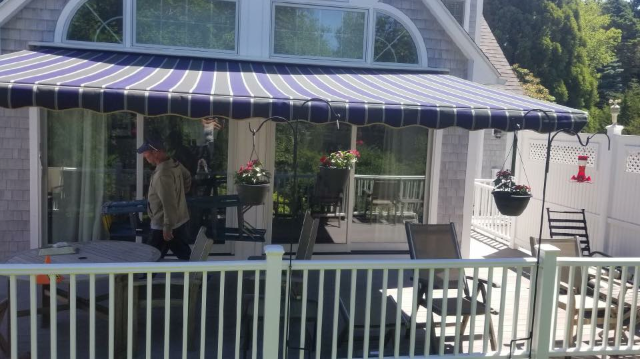 To learn more about window awnings and patio awnings from Rhode Island’s #1 trusted SunSetter Awnings Authorized Dealer & Installer, Bristol Aluminum Window & Siding Company, give our team a call today!